Yes, winning retail happens at lightning speed now. “Top” brands have mastered the art of the quick turnaround – the ability to execute changeouts on a dime. So how do they do it? Are they employing a team of elves in the middle of the night? No. Their secret is flexible fixtures. It gives store associates the ability to easily move the fixtures – merchandise and all – so they can create newness anytime they want a fresh look. A culture of experimentation. 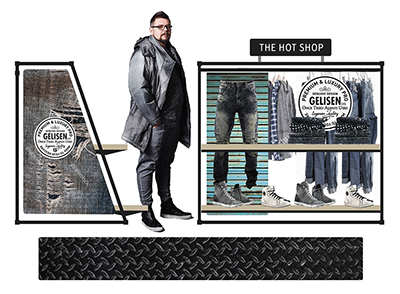 The trend in retail now is to use your physical environment as a store lab. Try new things. Test, learn, iterate. Before you commit to a new concept, give your fixtures a spin and see what happens. Surprise and delight. Those are the buzzwords for customer engagement. Give your customers a new reason to visit your stores often. As inspiration, there’s a small format store in New York called Story that reinvents itself every month. 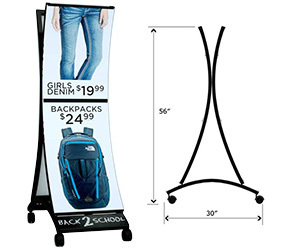 You can find flexible fixtures to accommodate your every merchandising and advertising need. The rolling kiosk. Put your advertising message on wheels. This is a great way to give your promotions a whole new look. The rolling bin. This fixture can be used wet or dry. Fill it with ice and stock with quick, grab-and-go snacks or beverages. 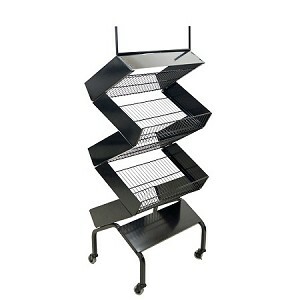 Use it to hold clearance items or seasonal merchandise. The spinner on wheels. This portable rack frame makes it easy for the customer to find what he wants and can be customized with different trims or a topper. The Z rack. This quick-change rack is great for basket building initiatives as it can be pulled close to the cash wrap for last-minute add-ons. The fully merched promo display. Make a big trend statement with a moveable display that includes room for styling, shelves, hanging space and graphics all in one. Want more ideas for faster changeouts? 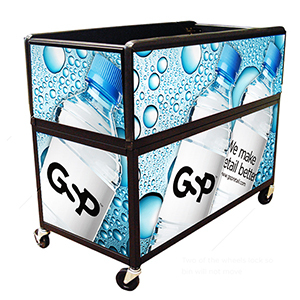 GSP’s award-winning Design Services and Visual Merchandising Departments can create, engineer and customize any type of flexible fixture for your store.